Try having a vintage bridal car from Minibug to make your wedding more special and memorable! Here is one of the Testimonial from our customer. "Thank you for being a part of our big day! We are very pleased with the service provided and the car is lovely! I will definitely recommend Mini bug to anyone who needs a bridal car service "
Visit minibus.sg and send in your Enquiry Form now! Vist Minibug.sg to check out our Cars, Pricing and Exciting Add-On Services now! 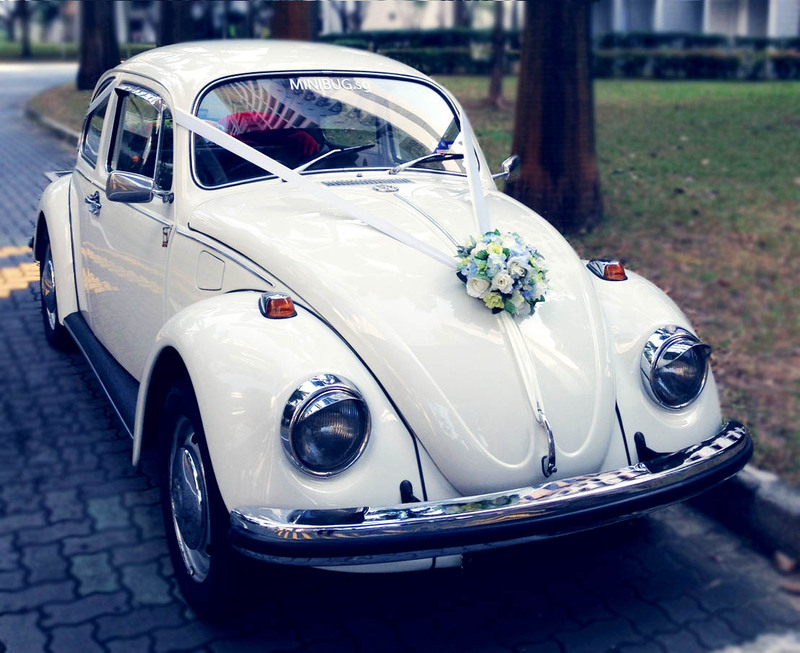 Get a classic and vintage bridal car from Minibug!